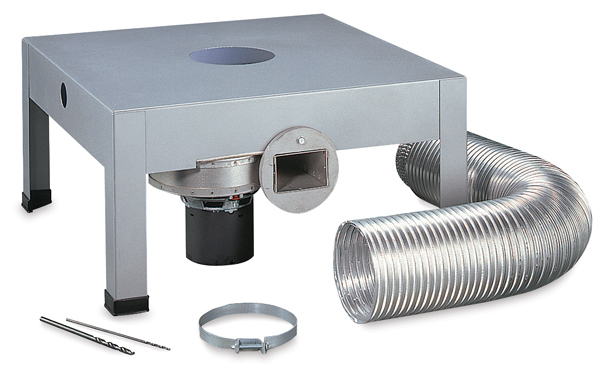 The Amaco KilnVent Stand is an effective ventilation system for all Excel kilns. It improves the airflow inside the kiln and keeps the firing area free of unwanted gasses. Features of this Amaco KilnVent Stand include a 120V, 1.1A motor with a static pressure of 0.2 and 77 CFM. It is intended for use with Excel Kiln Models EX399 and EX1099. ® Amaco is a registered trademark of American Art Clay Company.® Excel is a registered trademark.